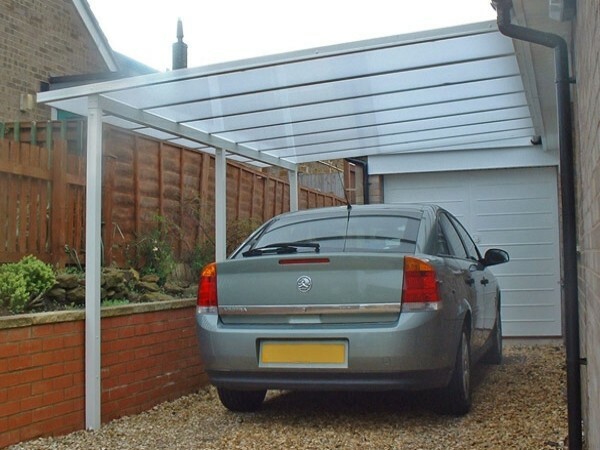 Either free standing or fixed against the naturally strong wall of a house or garage, each Carport that we supply is further reinforced thanks to its structurally simple yet effective supports. Each supporting column offers further reinforcement to the canopy roof. This ensures full protection is offered at all times. Samson offer a number of different carport systems, both those under the Samson name itself and one from European giants Ryterna. Each system has different benefits and uses, and which one you will choose depends on the application you are using it for. To find the correct carport for you, click below. 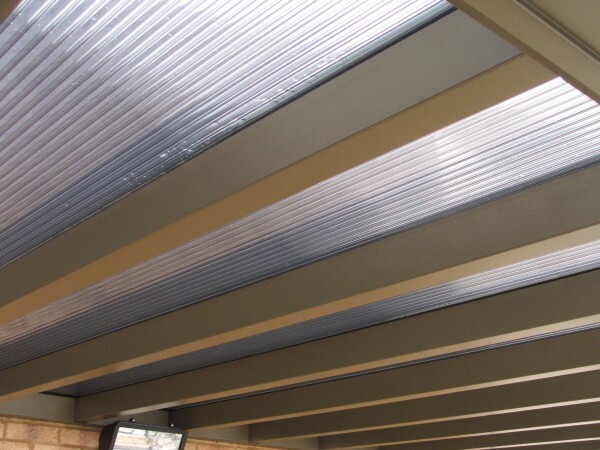 Carports from Samson Awnings are installed with high quality polycarbonate inserts as standard. This enables them to cope with harrowing winds & torrential rainfall. 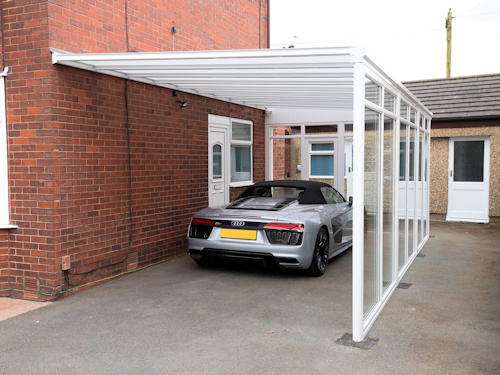 Some of our CarPort models are available with toughened safety glass to give both an impressive visual finish and effective canopy cover. Despite offering less protection than a traditional garage, a Carport more than makes up for this with the ventilation it provides. With no walls (excluding the already existing supporting wall) it offers no obstruction to natural fresh air whilst still offering protection against sun, wind and rain. 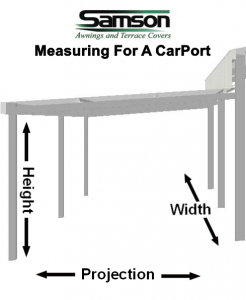 There are 3 important factors to take into consideration when measuring for a carport. Width, Projection and Height. Width is the distance along the side of the wall. Projection is the distance the CarPort spans from the supporting wall. Height is the overall height of the Carport structure. 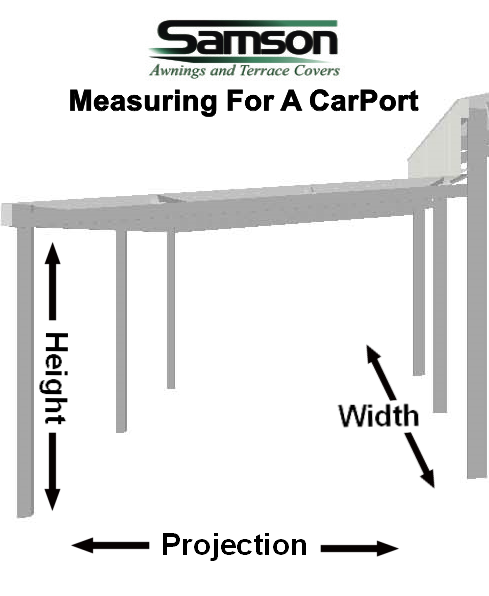 For a simple diagram on measuring for a CarPort, please click here. We offer Carports from widths as small as 1m up to widths of 7m. However this does not mean this is the largest width we can achieve. When purchasing larger carports for multiple cars, we are able to couple carports together to achieve any width. 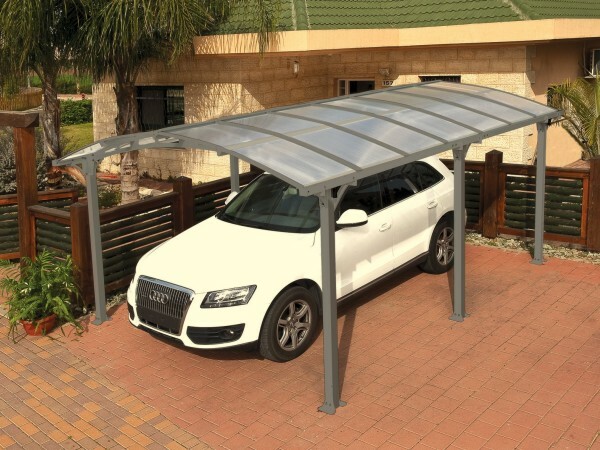 When shopping for the ideal Carport, there is nothing worse than finding the perfect one only to realise that it’s restricted sizes will shorten the drive-through width of your driveway. 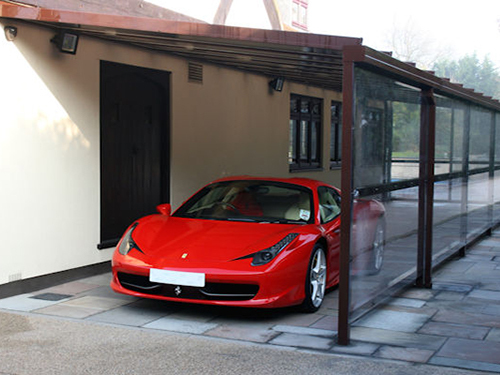 Our Carport systems are available from projections as small as 1m, upto a maximum projection of 3.5m across. This allows for the perfect fit on wider driveways. Buy a high quality aluminium car port, and never have the worry of replacing rotten timber or rapidly discolouring Upvc. All of these aluminium Carports have been tested to withstand the pressures of the unpredictable British weather, ensuring all customer receive real value for money. 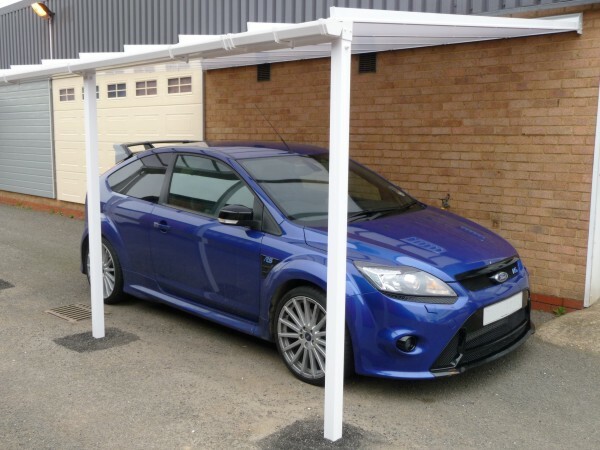 The strength of these car ports is underlined by wind load testing and complete building regulations compliance. Built-in rain water guttering allows water to be directed wherever required to avoid flooding. The strong support legs give the carport great strength to the roof system, which is built to take Britain’s ever changeable UK weather. The finely constructed aluminium frame is available in a choice of any colour on request. As standard, each Carport is availably in either a white or brown powdercoat finish. Other colours are available on request at an additional surcharge. The polycarbonate roofing is available in clear glazing, opaque white glazing or clear bronze coated glazing. 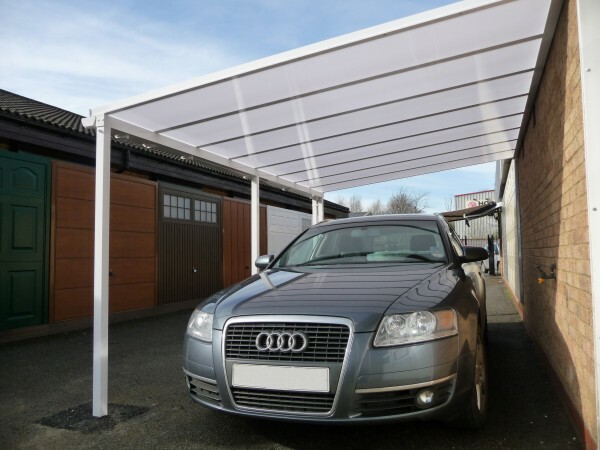 Carports are becoming evermore popular within the UK as home owners realise that the high quality of cars mean they do not need elaborate shelter such as a garage, but can easily cope with the comparatively low-cost addition of a Carport Piazza. 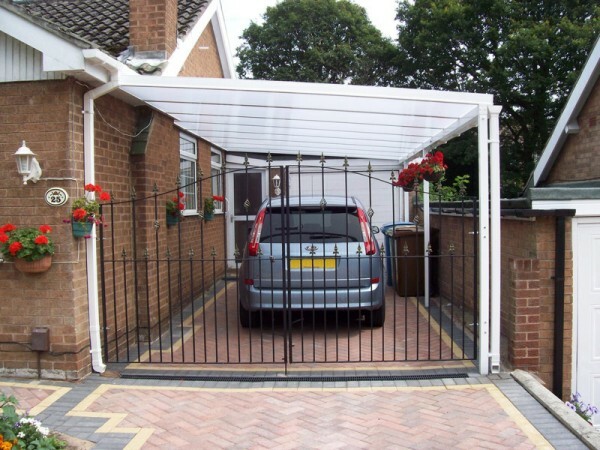 Our highly adaptable Carport systems are available for both domestic and commercial customers due to their large size ranges. 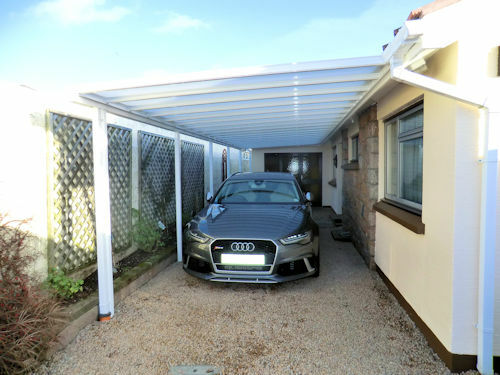 Our high quality Carport’s reach a maximum projection of 3.5m with a maximum width of 7m – perfect for fitting plenty of cars in! For more information or to discuss these products, please contact us.